Running for Recovery: Training for my first 100 mile ultra marathon. I run for a lot of reasons. One of the chief reasons is that it augments my mental health. When I run my body feels good and my brain feels better. Plus it lets me eat a little more...pizza which is one of my favorite things. That and running a local 50 miler is a far easier task today than just getting through a day was 15 years ago. So I run. Something else related to me and my various addictions: I'll have the temptation to grasp on to my 100 miler just like I grasp onto that entire pint of Ben and Jerry's. 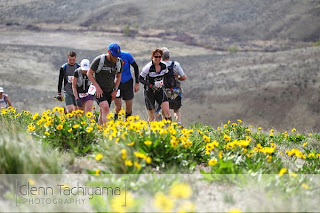 Whether it's the IMTUF 100 or Stagecoach 100 or Leadville I'll grasp onto a far off goal like a distraction I cave and lose sight of the clear and ever present moment.